Our advocacy partner organizations send American medical, public health and other volunteers overseas to contribute to improving the health of people in developing countries. Our partners encourage their returned volunteers to consider advocacy opportunities with us, and we encourage people who work with us or share our mission to volunteer with these organizations. 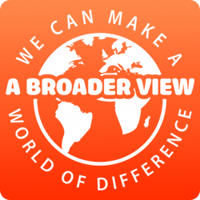 A Broader View Volunteers is a registered non-profit charity which arranges short term medical mission placements, internships, and medical/nursing electives in worldwide locations. Medical placements are available throughout Latin America, Asia and throughout Africa. The primary mission of ABV is health education, advocacy and improvement of the quality of life around the world. Program sites include community clinics, regional hospitals, outreach health centers, special needs children's centers, and elderly care homes. Projects placements are available from 1 week -12 weeks. Health Volunteers Overseas (HVO) improves the availability and quality of health care through the education, training and professional development of the health workforce in resource-scarce countries. HVO envisions a world where all people have access to high quality health care delivered by local health professionals, fostering partnerships between institutions, local providers, volunteers and sponsor organizations, so that, together, we can address the global health workforce shortage. A DC-based nonprofit founded in 1986, HVO recruits trained physicians, nurses, dentists, and allied health professionals to support their colleagues overseas through education, mentorship and inter-professional collaboration.